Home >> Article Index » Articles » Memory Lane - Photos - History » 12-24-05 Memory Lane - Lewis Grizzard, UGA, GA 316 and more". Memory Lane - Lewis Grizzard, <?xml:namespace prefix = st1 ns = "urn:schemas-microsoft-com:office:smarttags" />UGA, GA 316 and more…. 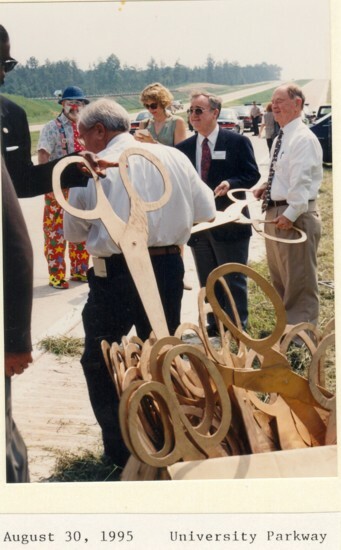 Recently a friend (Bogart Alum Jack Hogan) sent me a copy of an article by Lewis Grizzard that appeared in the Chattanooga Times on July 10, 1993 about the opening of GA 316. I remember reading the article at the time in the Atlanta Journal-Constitution. Lewis’s articles were favorites of many of us. Lewis was a strong and faithful Bulldog fan and that endeared him even more to many of us. I read several of Lewis Grizzard’s books and enjoyed them. In many ways, I identified with many of his memories from the 40’s, 50’s and 60’s. 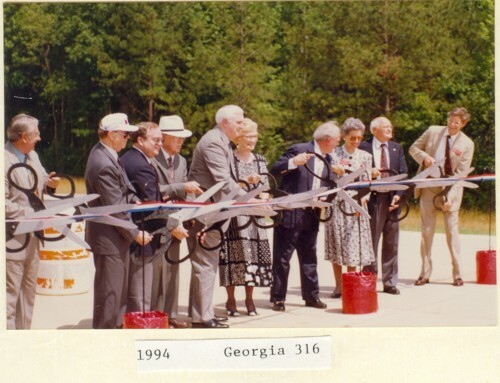 This article was written about the opening of the first section of GA 316 near Bogart in 1993. As Oconee BOC Chairman, I participated in the ribbon cutting. We hosted the dignitaries and guests at a dinner at the Bogart Community Center. A motorcade led by Commissioner Shackelford and Senator Broun made the first run. I rode in a little coupe automobile with Barrow County Representative John Mobley. We were all excited that day about the road and what may come. The road has brought dramatic change to this area of the state and brought Metro-Atlanta to a 30 minute drive. They opened a new stretch of Georgia 316, a four-lane highway that runs between Lawrenceville and Athens. What that means is you can drive on a four-lane highway all the way between Athens and Atlanta now. From Atlanta, take I-85 to the Lawrenceville exit and then 316 the rest of the way. Athens-Atlanta motorists can make the commute in under an hour, a report said. the first time since the 6th grade. I had a job in Athens. I worked for the Daily News, a fledgling newspaper we struggled to deliver six mornings a week in competition with the afternoon paper that had been in town since movable type was invented. I worked full-time. I went to class, and then I actually worked more than full time. That’s because they couldn’t run me out of the Daily News newsroom, a converted automobile dealership. It remains the best part of journalism career. On Saturdays, I would go to the newspaper at 2 p.m., and I would still be there at 1 the next morning when the Sunday edition was finished. Then, I would get into my blue VW bug and head for Atlanta and my girl. Each week we had from about 4 a.m. Sunday until 10 Sunday night together. I hated that drive. It was all two-lane from Athens until outside Lawrenceville where I could pick up I-85. gave him the two Georgia-Auburn football tickets in my glove box. I would fight sleep all the way. A week of classes, studying and work can even exhaust a 19-year-old. Every Saturday night for months I made that drive. The TLC at the end was worth it, but I still wonder why I didn’t doze off one night and run into a tree and kill myself. We decided to get married the summer of ‘66. It made a lot of sense. We knew we would marry one day anyway, and I didn’t know how many more times I could survive that drive. So we up and did it. Mama said, “Just make sure you finish school, young man.” My pretty blonde bride got a job at the paper, too, and they gave me a raise after we married - from the minimum $.25 cents an hour to $.30. I would have paid them. When I read about the four-lane being open all the way between Athens and Atlanta, I wondered what if it had been that way back in ‘66? The drive would have been a lot easier and quicker. Maybe we would have waited to get married. And if we had waited, maybe it would have lasted. Nineteen is too young to get married. Especially if you’re a blindly ambitious, selfish fool. My wife wasn’t the one who was the blindly ambitious, selfish fool. There is a move afoot to give the new highway 316 connection a name. “University Parkway” has been suggested. Somebody else will offer “Bull-dog Boulevard”, of course, and “Dawg Alley” must be considered too. Whatever they name it when I drive it -and I will drive it often - I will think of her and how I blew it, and how perhaps a little extra concrete 27 years ago might have kept something that was very good intact. You tend to think that way as you get older. All that’s left to say, I suppose, is drive carefully on Nancy’s and Lewis’ Road! Lewis Grizzard died on March 20, 1994, and brought sadness to many readers and UGA fans.